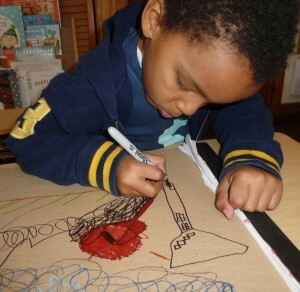 We live in a culture where many adults seem to think that the visual arts are only for the gifted — how is it that so many of us stopped — or never started? 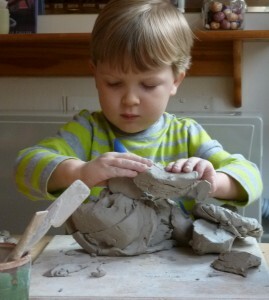 — drawing, painting, sculpting and building? What a loss, given the power of the visual arts for emotional expression, aesthetic pleasure, exploring ideas and expanding thinking. 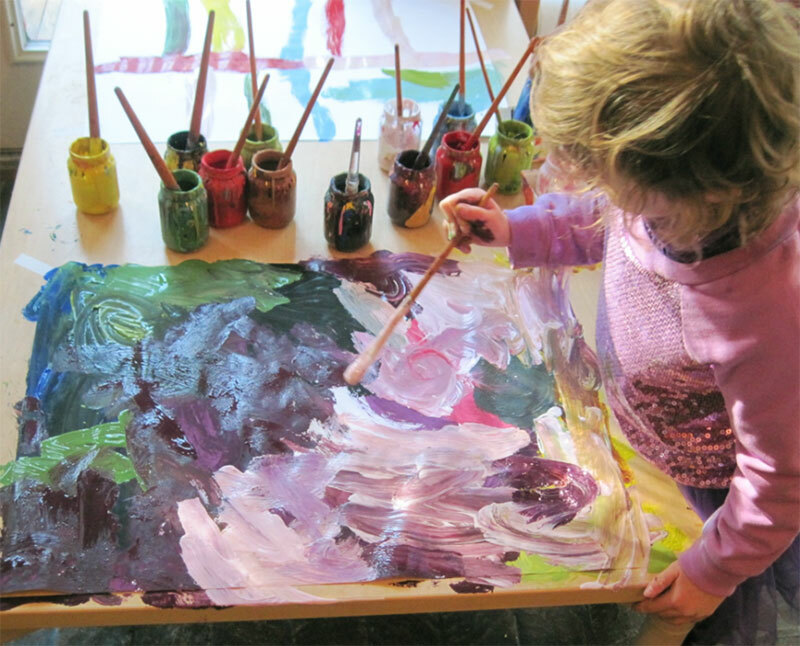 Here, we provide materials, time, expressive freedom, and technical assistance in abundance for painting, collage, and modeling with clay. 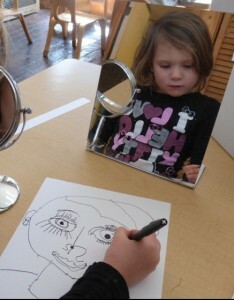 Kids practice drawing from their imaginations and from life. 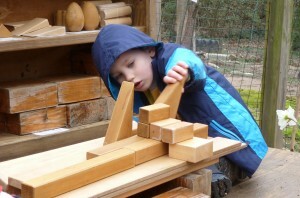 They explore construction with paper and useful junk, with wood, with a multiplicity of building sets that connect and respond in different ways, and with wooden unit blocks that have wonderful mathematical properties of symmetry, shape and balance. 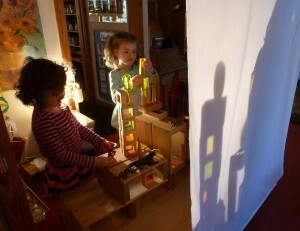 Children design with a variety of materials. 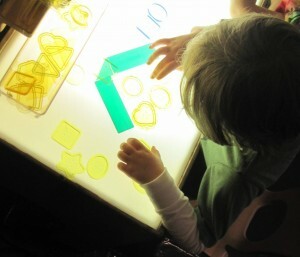 And, at the light table and on the shadow screen, they play with light, shadow, reflections, and color. I found I could say things with color and shapes that I couldn't say any other way, things I had no words for.